Ask Your Customer – Part 3 of a Continuing Series – StratGo Marketing. Plug-in marketing department services. Don’t be afraid to ask your customers how you’re doing. The alternative is that maybe one day you won’t have the same number of customers to ask. I’ve written about the importance of customer learning and market research before, including posts titled A Cure for We-know-it-itis and Ask Your Customer. My latest “Ask Your Customer” example comes from the retail grocery industry. ShopRite is a leading northeast supermarket retailer with 250 stores in New Jersey, New York, Connecticut, Pennsylvania, Maryland and Delaware. It’s the primary consumer brand for Wakefern Corporation, “the largest retailer-owned cooperative in the United States,” per the company. Wakefern has a sophisticated marketing and merchandising operation. If any of our associates gave you great service, please tell us their name and department. Is there a product you’d like us to carry? The downside: the paper handout is an old-school, self-mailer, although it does contain a toll-free phone number. Hey, some people still like that. It would be easy for ShopRite to add a website URL for consumers to complete the survey online; and a mobile URL and/or QR code for smartphone completion in the store. Maybe they offer that on their mobile app (haven’t tried it yet). When it comes to operating your business and maximizing performance, relying on limited, assumption-based rather than fact-based knowledge has the potential to lead the organization astray (think the emperor with no clothes). Regardless of your business, getting feedback and input from whomever buys and uses your products and services is vital. So, put in place a regular program to understand your customers and the market you operate in. There are ways to get the input you need in a cost-effective way. I’m a firm believer in preparing a written marketing brief to guide your efforts. Make customer understanding and market research key elements of your annual marketing plan process, and ideally, set a multi-year strategy and calendar for the type and frequency of your research. Remember to clearly identify and state how you will use the output. Doing so is an important input to research design and will help make sure you utilize your marketing budget wisely. There is no substitute for fact-based customer understanding. So, ask your customer. 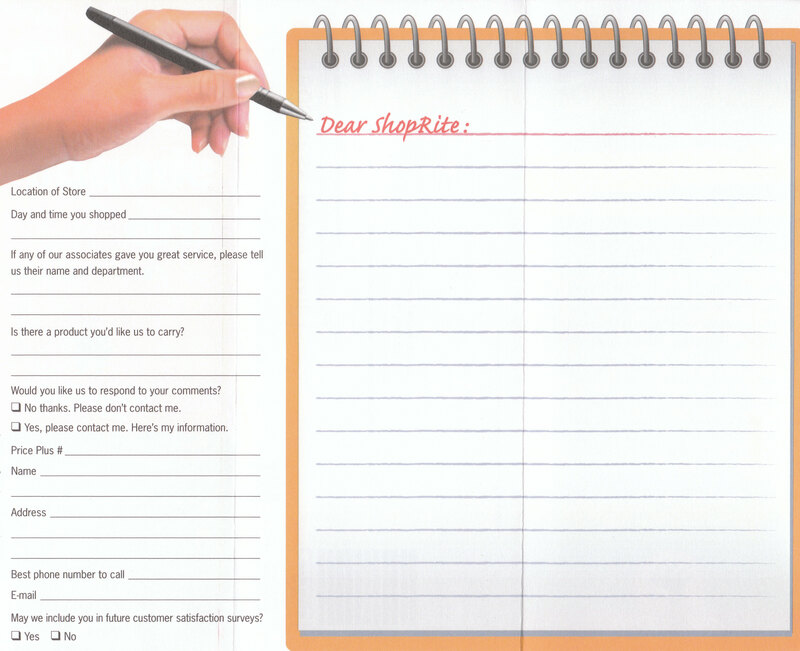 In this example, supermarket retailer ShopRite utilizes a simple method to obtain consumer learning.